The County offers a variety of plans with very low premium contributions. Employees choose the option that works best for them. Macomb County offers life insurance provided by the employer for regular full-time employees. The employer will provide a payroll deduction for employees wishing to purchase additional life insurance for their self, spouse, and eligible dependents. Long-term disability coverage is effective the first day of the month following six (6) months of continuous employment. This benefit is intended for lengthy illnesses with a 180-day elimination period, and pays 60% of an employee's monthly income. Macomb County understands the need to balance work life with home life and has generous policies for paid time off (PTO), illness, and holidays. The Consolidated Omnibus Budget Reconciliation Act (COBRA) gives workers and their families who lose their health benefits the right to choose to continue group health benefits provided by their group health plan for limited periods of time under certain circumstances such as voluntary or involuntary job loss, reduction in the hours worked, transition between jobs, death, divorce, and other life events. Qualified individuals are required to pay the entire premium for coverage up to 102 percent of the cost of the plan. Macomb County complies with the Family Medical Leave Act (FMLA), which entitles eligible employees of covered employers to take unpaid, job-protected leave for specified family and medical reasons with continuation of group health insurance coverage under the same terms and conditions as if the employee had not taken leave. Macomb County has a defined contribution 401(a) plan. The required employee contribution is three percent (3%) of base wages. The County generously contributes six percent (6%) of base wages per pay period. Employees are vested after five (5) years of service.  Please visit the Macomb County Retirement Board website to get more information.